Delhi Chief of the Bhartiya Janata Party, Manoj Tiwari on Saturday hit out at Congress president Rahul Gandhi asking him not to disrupt the growth of the country. He said, " Mr Gandhi, let the armed forces develop and be stronger, Do not disrupt the nation's growth by becoming a hurdle. Rafale can exchange fuel for 3-4 days in the air, can even load weapons during the flight." Tiwari told ANI, "The way in which Narendra Modi has strengthened the defence of India, it is becoming a big issue for the Congress and its allies. If someone is having a problem with the strengthening of the defence sector then we do not have any solution for it." 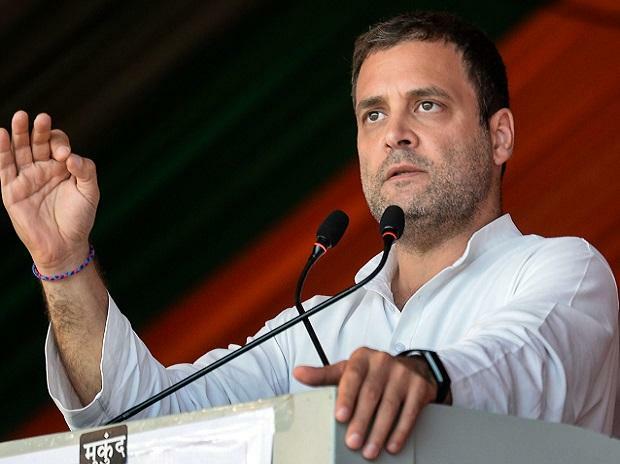 Defence Minister Nirmala Sitharaman on Friday had attacked the Congress president by saying, "Rahul Gandhi is quite confused about the Rafale Deal. Every time he speaks about Rafale, he gives a wrong data about the deal." Rahul Gandhi drew flak after he said that Dassault invested Rs 284 Crore in the Anil Ambani's company. "Anil Ambani bought land with the same money. It is clear that Dassault CEO is lying. Why did they invest Rs 2.84 billion in a loss-making company?" Rahul said while addressing a press conference on Friday. A controversy over Rafale jet deal has been on the boil over the last few months with the Congress and other opposition parties alleging loopholes in the high-profile pact signed between India and France in 2016. The Congress has been accusing the Centre of irregularities in the Defence fighter jets' contract, alleging that the Prime Minister Narendra Modi-led government was procuring each aircraft at a cost of over Rs 16.7 billion as against Rs 5.26 billion finalised by the United Progressive Alliance (UPA) government. The Congress has time and again asked the government to reveal the price details of the aircraft and how the sum being paid for each has shot up. However, the government has refused to share the details, citing a secrecy clause of a 2008 pact between India and France.